August was an amazing month of focusing on and living in the power of Prayer. I believe the Church is in the process of living out Jesus’s passionate desire for His Church to be a House of Prayer. So keep on praying, Church! We also studied the Book of Proverbs and received some much needed wisdom to help us in our daily walk with Jesus. For September, we will begin a 50-day journey through the book of Romans and learn about God’s perfect plan! So get ready,Church! God is moving and wants to take His Church on a journey that leads us in the reality of Jesus perfect plan of His church being the hope of the world! My prayer is that we will be exactly what Jesus intended us to be, and that is the Light of the World! Jesus Saves! As Summer is coming to an end it’s time to fall more deeply in love with Jesus. This September we will be revisiting a study we did almost 5 years ago entitled “Not A Fan”. This study will confront us with the very important question “Are you a fan of Jesus or are you a follower of Jesus?” This challenging Sermon Series and Bible Study will be the catalyst to help us fall more deeply in love with Jesus. The “Not a Fan” Bible Study is a cinematic story that will grip your heart and leave you hungering for more of Jesus. So let’s get ready, North Glen, to take this spiritual journey together that transforms our commitment to Jesus Christ to another level — one we have never reached before. 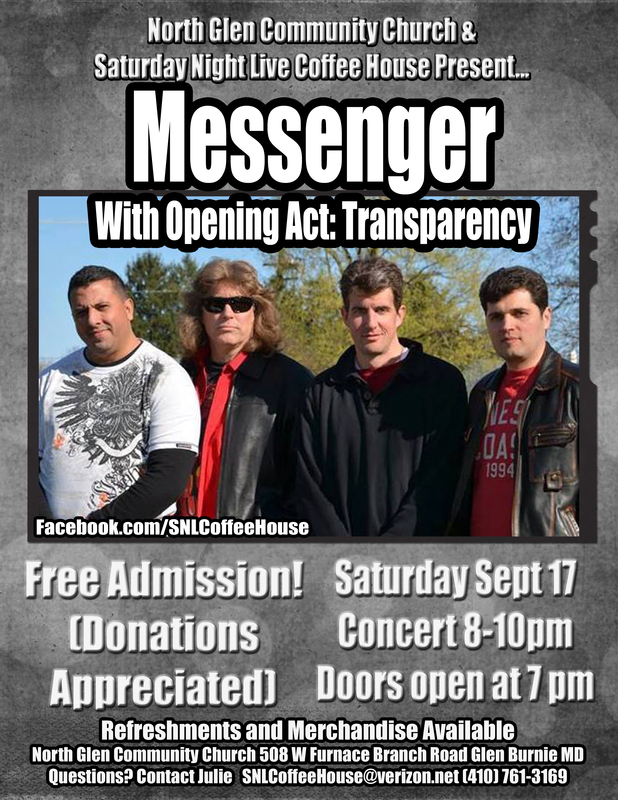 On September 17th, Messenger will be performing for their first time at the coffee house. This is an upbeat Christian Rock band, and will play songs from their new CD as well as some popular favorites. Opening the evening, we will have Transparency perform a set. Visit the coffee house site for more information OR check out the terrific flyer (print it if you like)– pass the word to friends! The items we need for this evening are a case of water and desserts. A sign-up sheet will be on the church bulletin board. If you have not already joined or shared our Facebook page in order to invite others to this event, visit http://www.facebook.com/SNLCoffeeHouse. Back to school time already! Thank you to everyone that brought in school supplies to help our local school. If you need help with school supplies for your child, please see me. I would like to encourage our North Glen families to spend some time together in the Word. Some great ideas would be to share a Bible story during homework time or pick bedtime to read to your child. You could encourage older children to read with you. We have a new procedure for our children for Children’s Church. At the end of the worship music portion of the service Pastor Paul will dismiss the children to walk to the back of the room to meet their teacher. At this point they will line up and go up together. At the end of the service, please go to the back hall next to pastor’s office to get your child. Children will no longer be dismissed until they have a parent or guardian. We are attempting to keep our children safe as well as cut down the amount of running around that is being done. Hopefully by now all current members and attenders will have taken a few moments to register their child for Children’s Church. This is a MUST! The form can be found online.Should you prefer we do have paper copies, so Kim Gayleard. There are going to be many, many chances to get involved in activities at North Glen! The middle school students participated in the 30-hour famine over the August 19-20 weekend. At the end of September we will host a Spaghetti Dinner to raise money for those less fortunate. More details will follow soon! We are having our annual Harvest Festival on October 2nd. The Children’s Ministry will need help to run crafts and games. Please look out for the upcoming sign up sheet. New this year! We are excited to announce we are going to sponsor a Trunk or Treat at North Glen on October 30. More information and sign ups will follow. We will be collecting again for Operation Christmas Child in October and November! We are always in need of help! We are currently needing an assistant to help on the third Sunday of the month. Our prayer is that God sends us 4 more teachers and assistants so we can better separate our grades! Since we have added a special needs Sunday school class I am in need of three teachers that would be willing to teach Sunday school at 10:00am. Many exciting things God is doing at North Glen! Please consider jumping in and helping out! On Saturday, September 10th at 9:00 am, we will finish painting upstairs classrooms and the prayer room; as well as miscellaneous cleanup. Our next outreach is on September 3rd at 10:00 and lasts until 12:00. The homeless ministry leaves from the church to deliver food and clothing to the people in Baltimore and Anne Arundel County. As we meet the physical needs (socks, clothes, blankets, shoes, disposable bags to carry their clothing) of the homeless with the love of Jesus, we have the opportunity to bring the Good News to meet their spiritual health. Sandwiches are prepared on Fridays at my home in Dundalk. The teller team is in need of a person willing to be available on the fifth Sunday of the months that have five Sundays or be a backup in the absence of another team member. The requirements to be on this team are the following: member, faithfully supports the church financially, and trustworthy. You will be requested to stay after church to collect the money and help count for approximately 15 minutes. A signup sheet will be on the board. If you are looking to serve in a church ministry, we have a place for you! If you like to welcome people into North Glen with a friendly face and have a spirit of hospitality and serving others, we have openings in the Assimilation ministry. Currently, we have two teams which alternate every Sunday passing out bulletins or Welcome Packets to newcomers. 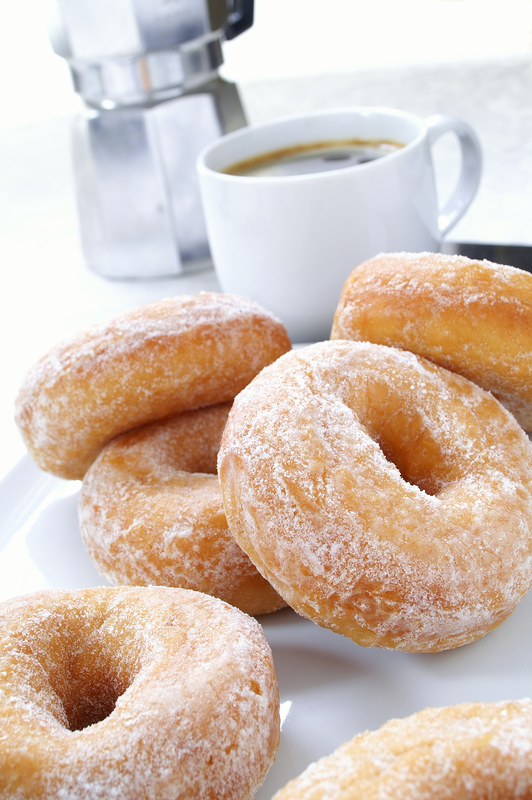 We also have a team that makes the coffee (when the door opens) and mans the coffee and light breakfast area. If you are interested, signup at the bottom of the current schedule along with your interest and you will be contacted to see where you can plug in.